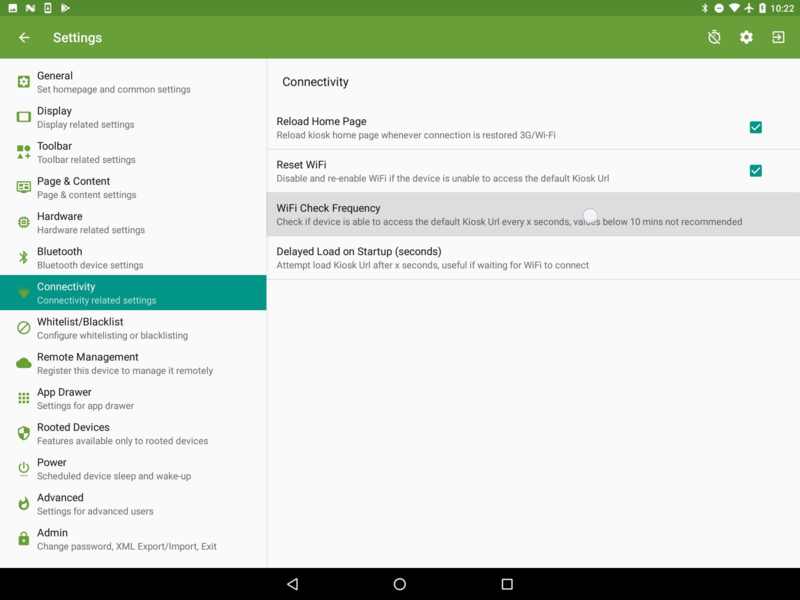 The reset WiFi setting will disable and then re-enable the WiFi, if the device is unable to access the default Kiosk URL. This function can be found under Settings > Connectivity > Reset WiFi. 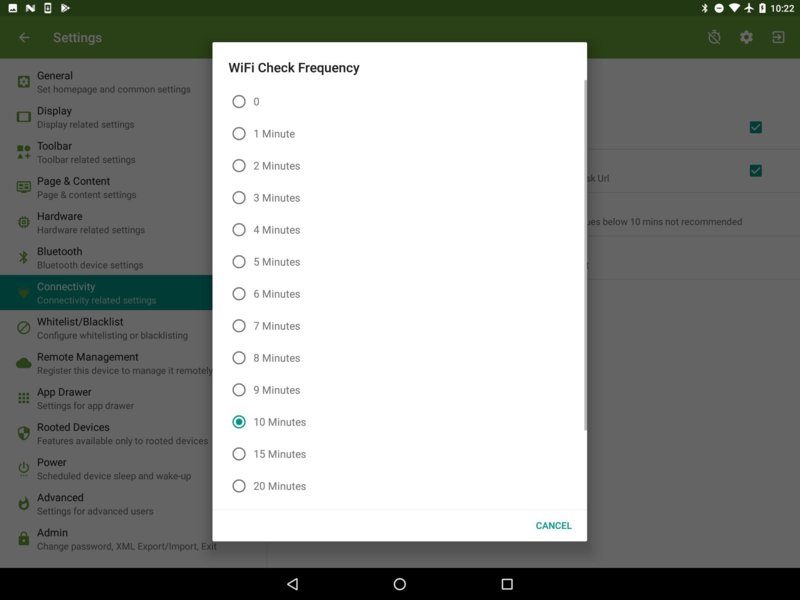 Once the setting has been enabled, then the WiFi check frequency sub-menu will become accessible Settings > Connectivity > WiFi Check Frequency, from here you should set the frequency that the check is performed. We would not recommend setting a value lower than 10 minutes in the majority of environments. If the default Kiosk URL starts with file:/// or %LOCALCONTENT% then connectivity is checked against https://www.kbremote.net. If the default Kiosk URL starts with http://localhost or https://localhost then the connectivity is checked against http://www.google.com. The WiFi connectivity check is carried out twice, and the timeout interval is 15 seconds (the time before the website is considered unavailable).